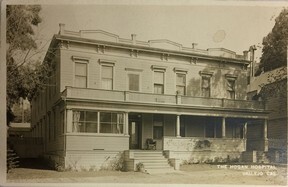 Pictured: Vallejo’s first hospital, located at the northeast corner of Virginia Street and Sonoma Boulevard, was established by Dr. James Hogan around 1907. It was replaced by a new hospital on Tennessee Street in 1921. 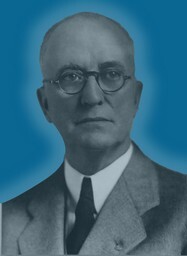 Dr. James J. Hogan was born in Vallejo in 1872. He received a medical degree from Cooper Medical College in San Francisco and established a physician practice in Vallejo in 1892. He opened Vallejo's first hospital in 1912 at the corner of Virginia Street and Sonoma Boulevard. He died in Vallejo in 1942. Photo courtesy of Vallejo Naval and Historical Museum. Over the years, GSVB members have engaged in projects to enhance our ability to collect data for our members and to the public, near and far. Obituaries: A collection of current obituaries from the Vallejo Times-Herald and the Benicia Herald. Cemeteries: Surveys of local cemeteries to identify who is buried there, and when. In some cases, no other entity is available to provide this information. Surname Index: GSVB maintains an index of the surnames being searched by our members.